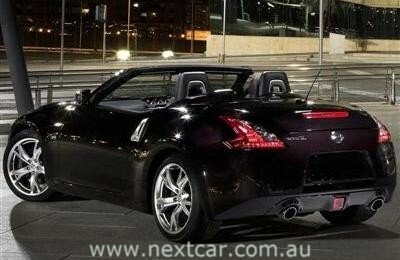 Nissan's popular two-seater sports car range is now even more appealing with the arrival of Model Year 2011 versions of both the 370Z Coupe and Roadster. Since launch in 2009, sports car buyers have eagerly accepted the Nissan 370Z’s blend of exhilarating performance, design, innovation and technology. For MY2011 Nissan has enhanced the 370Z’s technology, innovation and value credentials still further with a driver focussed upgrade that adds Nissan’s next generation audio and navigation system, a reversing camera, a cargo blind for the Coupe, climate controlled seats for the Roadster, wide-angle door mirrors and a new body paint colour; ‘Gun Metallic’ which is shared with the Nissan GT-R.
Nissan’s next generation audio and navigation system provides more functionality and features for users, including a touch screen, full iPod connectivity and functionality via USB input, Bluetooth audio connectivity and the ability to upload phone contacts via Bluetooth. It also has a 9.3GB music HDD server. The combination of the new reversing camera and the wide-angle mirrors will vastly improve rearward visibility in both the Coupe and Roadster, making parking and manoeuvring both easier and safer. The addition of a cargo blind to the 370Z Coupe ensures privacy for any personal belongings that are stored in the luggage bay. The Roadster’s new climate controlled seats direct either warm or cool air through perforations in the seatbacks and squab cushions, further extending the top-down driving season in very hot or very cool climate regions. 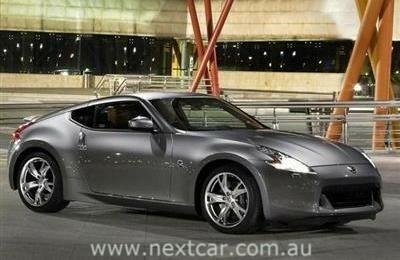 Supplies of the MY2011 Nissan 370Z are now reaching the Nissan Dealer Network across Australia. In line with Nissan’s successful philosophy of positioning the 370Z as the best value sports car on the market, price increases have been restricted to just $650 for the Coupe and $800 for the Roadster, despite the array of high-quality new features now included as standard equipment.